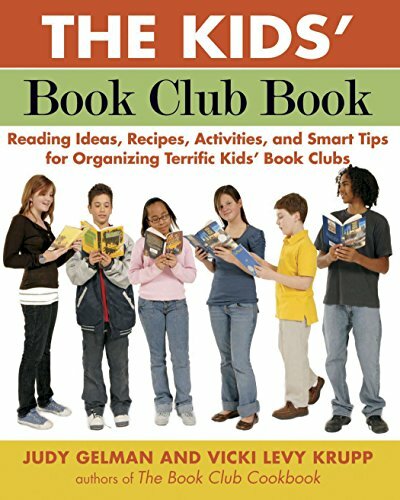 The first complete guide-for use by adults and children-to creating fun and educational book clubs for kids. _- recipes, activities, and insights from such bestselling children's book authors as Christopher Paolini, Lois Lowry, Jerry Spinelli, Nancy Farmer, Christopher Paul Curtis, Andrew Clements, Laurie Halse Anderson, Norton Juster, and many others. From recipes for the Dump Punch and egg salad sandwiches included in Kate DiCamillo's Because of Winn-Dixie to instructionson how to make soap carvings like the ones left in the knot-hole of a tree in Harper Lee's To Kill a Mockingbird, this book provides a bounty of ideas for making every kids' book club a success. If you have any questions about this product by Brand: Tarcher, contact us by completing and submitting the form below. If you are looking for a specif part number, please include it with your message.